Evolve: Be Still and LET GO! There are so many types of vacations. I personally prefer the adventurous, inspirational vacations through Europe or multi-cultural cities where I can feel stimulated, educated and alive with activities, but the relaxing, rejuvenating vacations offer so much more than they seem! I'm uncomfortable when it comes to sitting still. I want to move and explore! So you can expect that 2 weeks in Cayman was kind of stretch for me! Leisurely meandering from hammock, to kitchen, to sand to ocean can really test your urge to DO! I realize that I am so blessed to have been in that perfect space in time to enjoy nature's beauty and all the elements that surrounded me! I realize that I was placed there for a reason. There's always a lesson. The more you sit still and do nothing, the more you see everything. Everything comes from nothing. To simply just BE can really re-wire the circuits in your brain. I look at my baby nephew and watch as each day he gets up, eats, plays, naps and that's about it! What a life! Yet he's changing every single day! Even if it looks like we're doing nothing, we are moving and growing in new ways we can't even imagine, without having to push and control! When we let go of the chores, the need for perfection to perform at our best, to be productive, to create, to push and move, we can tap into the most basic part of our being--LOVE. Love as simple and pure as a baby. Love of just being here and soaking up the beauty in all things and all beings that surround us. To be like Buddha. Once I reached day 10 on my two week vacation, I was able to actually let go of the 'itch' to be more stimulated / less 'bored' and I embraced the non-doing to actually see my family and my surroundings in its most purest form--without all the clutter of my ego driven mind. It took me that long to actually free myself from the limitations of perception and previous 'baggage' to actually be present. Being present is when we actually meet God. The present moment is filled with everything--filled with LOVE! So do yourself a favor and take a vacation often, whether in your mind, your own home, a day of solitude in nature or your meditation space--the stillness of non-doing will take you through waves of anxiousness, frustration, a busy mind and body to finally arriving to the here and now. This is why God created Sunday, or Sabbath--in Universal Kabbalah, day 7 is ruled by the energy of Saturn. It took 7 days for God to create the universe. Each day representing a certain energy. On day 7 / Saturn day, it was a day for prayer and contemplation, to go within--to stop. It's the last piece of the puzzle of creation--we can't always do. It's just as important to NOT do. You really don't have anywhere else to be because you are meant to open your eyes and experience where the Divine Synchronicity of your life has brought you to. Enjoy the moment and bask in the bliss! Welcome to my newly developed, "Saturday's Saturn Series"! I've decided to teach Divine Spiritual Wisdom to you on a Saturday, because it is known in Universal Kabbalah, to have the energy from the planet, Saturn. In the 'Tree of Life' (the mathematics of spirituality, and the science behind how the universe was created), Saturn is our great teacher. Through Saturn, we get closer to Spirit. By aligning with the energy of this day, it is wise to study spirituality, because the universe supports us in our expanding vessel, and elevating state of consciousness. Have you ever noticed that on a Saturday, everybody is out running their errands, keeping up with life's demands, and feeling heavy and inundated from the week? This is because Saturn knocks on our door to clean up our house (spiritually speaking) from all that we've done during those 7 days. As I've talked about before in recent posts, everything is created with a seed. Check out the post: The Formula for Success: http://gowiththeglow.net/2013/08/21/the-formula-for-success-starts-with-the-seed/, to understand what I mean. Saturn is known as the Lord of Karma. She is the Divine Spiritual Mother. She cleans up after your mess. You will pay for whatever you have planted when Saturn is present. She loves order, discipline and structure. This is why you run around on Saturday doing your chores--she is expressing herself through you! On the seventh day of the week, it is a sacred time to go within--to pray, to meditate, to journal, to practice yoga, or whatever it is that you do to reconnect and be in touch with your Spirit. Saturn has something to tell you--she wants to teach you a lesson! Fortunately, with each lesson or challenge, comes double the blessing! I invite you to welcome the opportunity to go within, to look at what's coming up for you and to say thank you, on your 'Saturn' day. It helps me to put pen to paper and make a list of whatever it is that's concerning me on my Saturn Day. Once it's on paper, it's easy to see, and that way, I can deal with it right then and there. Clean up your karma on your 'Saturn day' so that you don't take it with you in your next week's cycle! 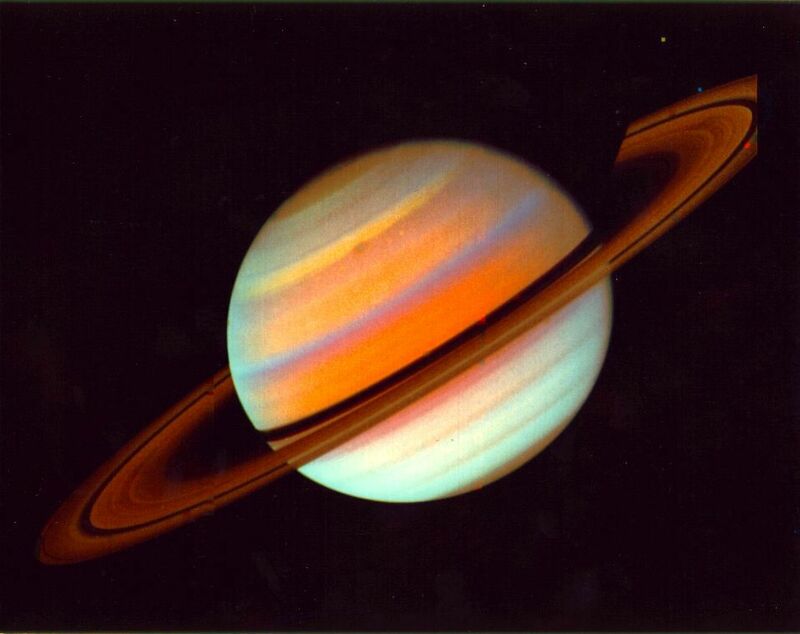 Universally speaking, Saturday is a 'Saturn day', which means that when you're dealing with everything besides just yourself, you'll want to acknowledge the energy of Saturn at work. By being aware of this, you can welcome the opportunity to see what is coming to you, for you to learn and grow from. Conversely, when you're dealing only with yourself personally, it is wise to know your primary planet, so that you can see which day of the week is your 'Saturn Day'. Your primary planet is based on the day of the week you were born. There's a key in the book, 'The Divine Doctor', by Dr. Joseph Michael Levry. It can be purchased here: http://rootlight.com/book-detail.php?r=5&fmphpadmin=67acd37bcd2bce09e634ed5a8dc13d28, but your mother may also know the day, or you could possibly find it by googling it online too. For example, I was born on a Saturday, which means that my Saturday is actually my "Sun" day, and so forth, consecutively. I still abide by the laws of nature, universally, however. Saturday may be my 'Sun' day, but universally, it is still a "Saturn" day. My interactions with everybody else during this day, will have the energy of Saturn, but whatever I say and do on Saturday, will be the seeds I plant for my week ahead, because it's my 'Sun' day. Do you follow? The laws of nature are always at work. The sun rises and sets, the moon waxes and wanes, and the seasons change, as do the days of the week. Everything has a beginning and an end, and everything happens in cycles. The only constant in life is change. We go through 7 planetary influences each week--plant your seeds on your "sun" day and clean up your karma on your "saturn" day! There's no denying these forces at work. Knowledge is power. Once you know, you can show up to your Spiritual Path!